Beautiful work dear friend! Hope you have a wonderful week, HUGS! 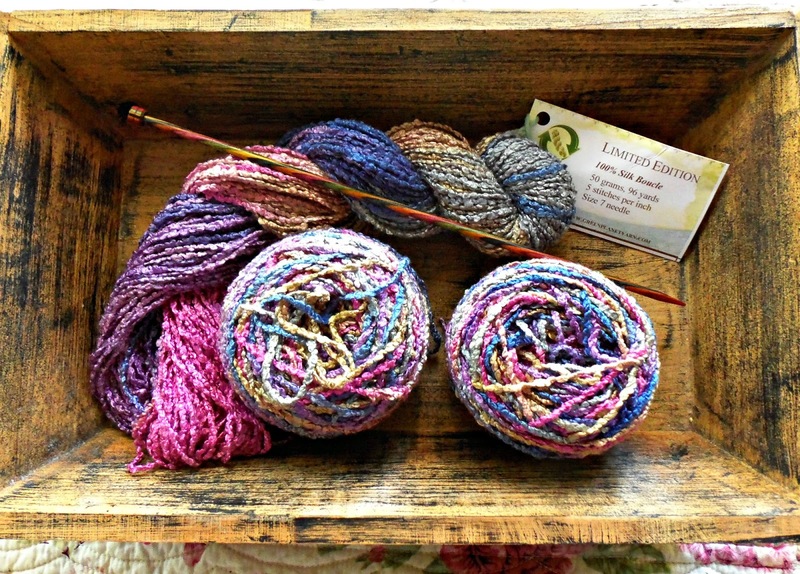 If I was within walking distance of my LYS I'd be in there all the time just to knit. But I would probably spend too much money also. I love that silk yarn, and the blanket kinda matches it! I bet that blanket will be lovely when it's done. The color grows on you that's for sure. Oooh, you poor girl -- walking distance from your LYS? You better get some Valium LOL. 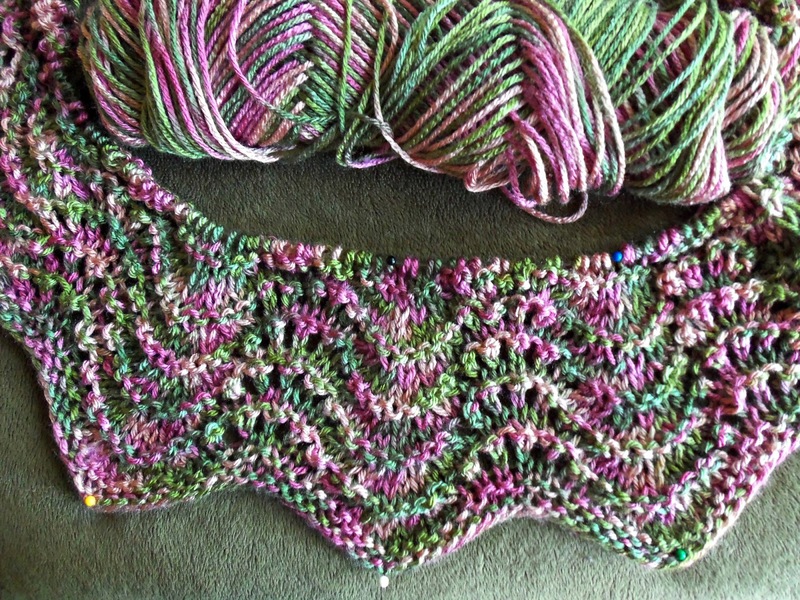 I LOVE that pretty silk boucle! I wish I lived closer Stacy, we could grab a bite to eat and then hit the LYS, I think we would have fun. 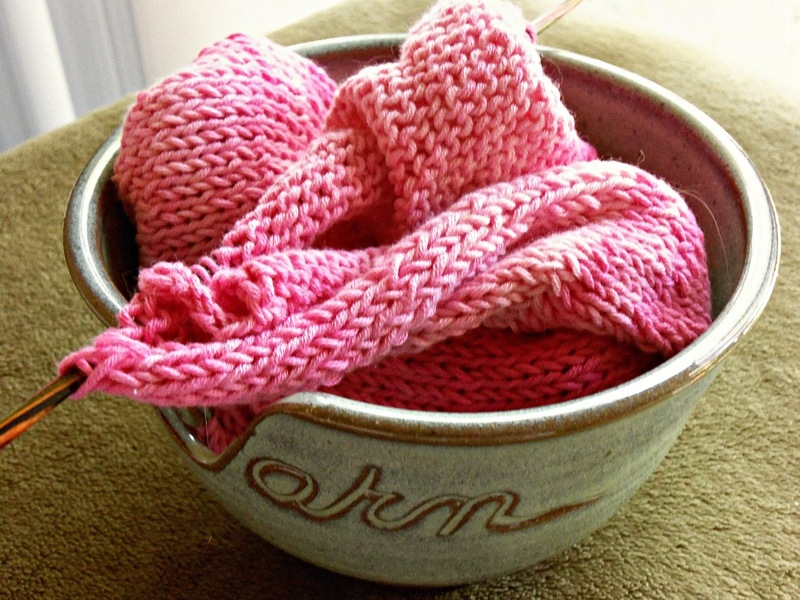 I just love your photos of knitted projects, and the yarn ... so eye-catching. Wish my local yarn shop really was local, and close. sigh. 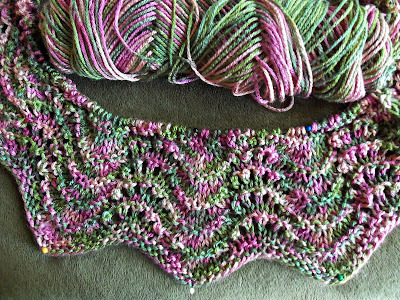 Such very pretty colors for your lap blanket! Can't believe they killed off Matthew on Downton Abbey! BUMMED about that! a yarn shop within walking distance....that would be trouble for me! I love the fact that my LYS is hard to find and difficult to park at. It saves my bank account. :) The silk looks lovely.